Implicated in a number of adverse events including ketoacidosis and possible kidney failure, the safety of the diabetic drug Invokana is prompting lawsuits. The lawyers of Harbin and Burnett, LLP are investigating claims on behalf of anyone who experienced a dangerous complication while taking this prescription drug. We have extensive experience negotiating and litigating to obtain full and fair compensation for our clients. Complete our Free Case Evaluation form to the right to get started its completely confidential. 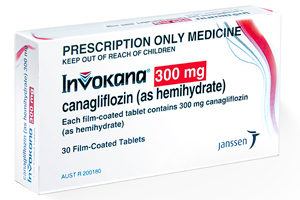 Invokana (Invokamet) is an SGLT2 inhibitor that lowers a person's blood sugar by causing the kidneys to remove it through the urine. Diabetic ketoacidosis, a condition where too much acid develops in the blood, has been reported as a serious adverse event risk in patients taking SGLT2 inhibitors, including Invokana. Also called ketosis, it occurs when the body begins to use fat stores as an energy source because sugar is unavailable to the cells. Ketones are a chemical substance that are a byproduct of fat metabolism and cause the blood to become acidic. In May 2015, the Food and Drug Administration (FDA) issued a warning letter notifying physicians about an increased risk of diabetic ketoacidosis. The warning followed over 20 reports to the agency of patients who experienced a life-threatening condition during a one-year period related to the use of diabetic medications known as SGLT2 inhibitors. Our lawyers are representing people who experienced kidney failure, heart attacks, stroke, renal failure or other serious adverse reactions after taking Invokana and other SGLT2 inhibitors. We are committed to helping our clients obtain maximum compensation in the least amount of time. Call Harbin & Burnett LLP today at 1(888)821-0247 for a free no obligation consultation. Let the lawyers at Harbin & Burnett LLP put their experience to work to fight for your rights.